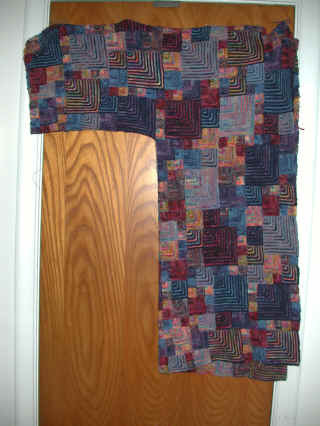 This is the first half of the Coat of Many Colors (Koigu Oriental Jacket). 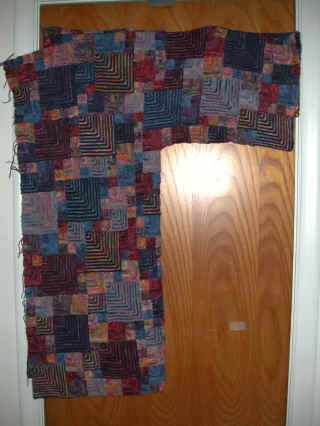 I started it on 7/4/99 and finally got the last ends worked in around the first of February of 2001. Understand that I didn't work on it at all between September 1999 and June 2000 - it's a wonderful project to do while sitting in my field, but I had other things to do at home. It was also a good project for the hospital, and that's where I finished the knitting. I have just started the second half.